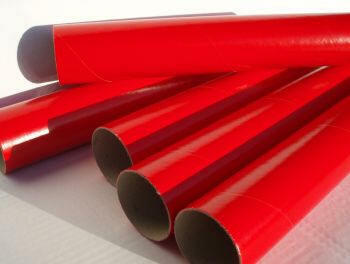 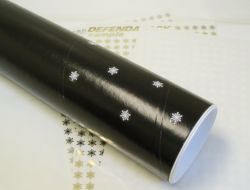 Postal Tubes 10" (254mm) Wide Diameter 3mm Wall - Please scroll down the page and select the length of POSTAL TUBES you require for posting your posters, prints or other documents. 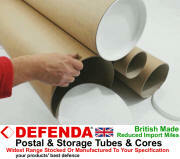 DEFENDA SUPER STRONG RANGE OF TUBES - Our spiral wound cardboard Postal Tubes can be produced in virtually any diameter or length required - Please contact us for details on 5" Diameter Triang Postal Tubes 6" Diameter Tubes & 8" Diameter Tubes. 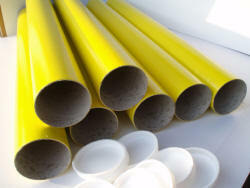 Spare Plastic End Caps For 50mm Diameter Tubes.